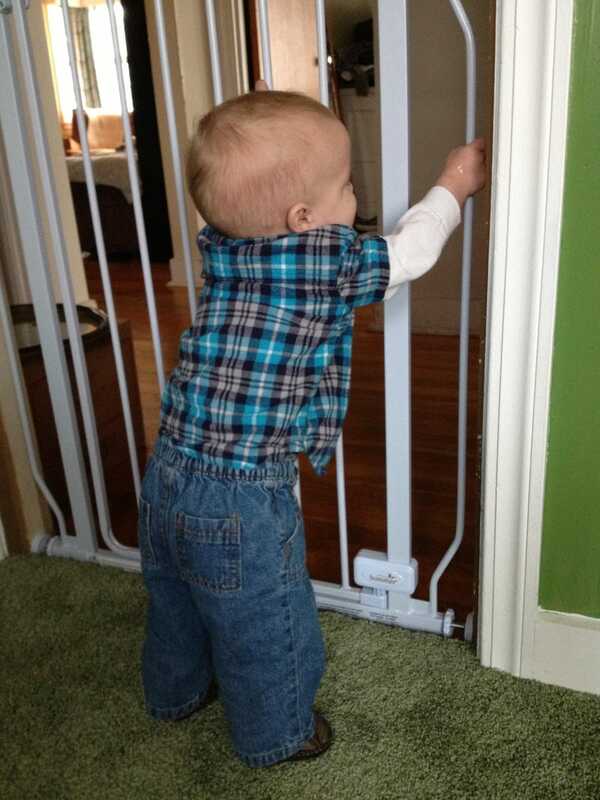 Lil guy has started to pull himself up to stand. Which is both awesome and terrifying. He has already cleared off the shelves of his changing table, so time to redecorate the room! I have to work with him on his naps. He nurses to sleep and I can transfer him to his carseat when in my truck, but not into his crib or pack n play in the house. He no longer sleeps in his swing. Now that he's mobile I can't let him nap by himself on our bed anymore either. So, I'm going to try to transfer him into the carseat in the house.. Then the carseat in the crib... Baby steps for the baby. Otherwise I'm trapped on the couch while he naps. Sometimes it is awesome but I would like to play with the dogs, draw, paint and clean during his naps. Wish me luck!